PE Creative: What is your star sign? 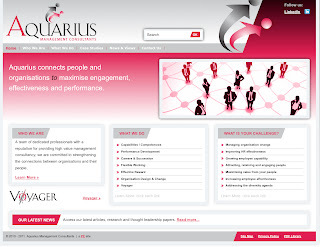 We recently completed the design and creation of the Aquarius website. To compliment the site, we are now involved in developing a range of collateral for the group. The Aquarian is the newsletter from Aquarius Management Consultants in Surrey. Produced on a seasonal basis, the newsletter is designed to highlight industry issues and show how Aquarius can help companies address them. The magazine is printed on a very high grade glossy stock, which reflects the Aquarius values. Edited by Olwyn Spiers, the newsletter has a professional and engaging feel. Check out the website we created at www.aquariusconsultants.com. Does your business need a refresh? If so we can help, just call us on 01332 291141.